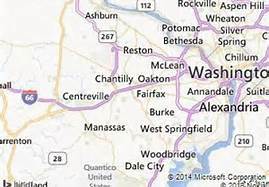 In Northern Virginia outside of Washington, DC, the stream valley of Little Rocky Run near U.S. Route 29 and the historic village of Centreville located on the plateau to the stream’s west played a crucial role in the early days of the Civil War. It is the place where the dreams and illusions of a divided nation, presidents and soldiers began to disintegrate. Today, less than 40 miles down the road, the fragmented U.S. Congress fritters away time sidestepping issues as it unthinkingly ignores the lessons so painfully learned in the past. The United States had cracked apart due to a complex series of issues involving the growing industrial power of the North, the shifting of the balance of political power in Congress from South to North and the increasingly toxic issues of abolition and slavery. After Abraham Lincoln, an attorney expert in the emerging field of railroad law, won the presidential election of 1860, the planter class of the South decided to quit the Union. The result was a war that nearly everyone in the North and South expected to be inexpensive, glorious, short and decisive. In July 1861, prodded constantly by Lincoln to take the offensive, Union Gen. Irwin McDowell put his army of 37,000 on the march. It was an inexperienced army filled with inadequately trained troops and suffering supply shortages. 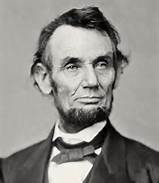 President Lincoln hoped the deficiencies would not matter, he wanted to win a victory before the soldiers’ enlistments expired. During July 18-20, 1861, a major part of McDowell’s forces camped between Lee Highway (Rt. 29) and Braddock Road along Little Rocky Run. The sites of their old campgrounds are now covered by streets, office buildings and housing. 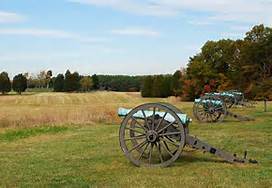 Late in the day of July 21, the army came streaming back, soundly defeated at the battle of First Manassas (Bull Run). The generals tried to stem the disorderly retreat on the high ground around Centreville, but failed. 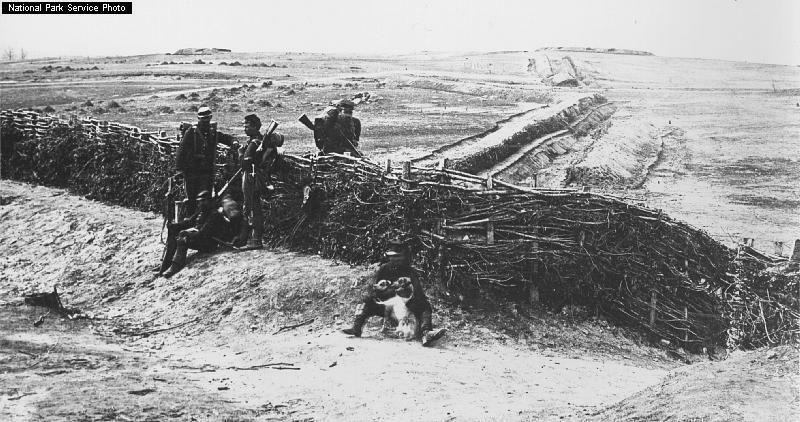 In what became known as “the great skedaddle,” the beaten army did not halt until it reached Washington. The defeat shattered Lincoln’s dream of putting a quick end to the Confederacy. In later years, he would relate to his confidants how public opinion and members of his cabinet had pressured him to order the ill-fated advance. He had yielded to those demands and defeat had followed. If his officers been allowed more time to train the troops Lincoln admitted sadly, the outcome may have been different. The victorious Confederates reoccupied the area. As they consolidated their lines in October 1861, they constructed over five miles of earthworks and fortifications along the ridgeline and built winter camps for the bulk of an army of 45,000 on the ground to the south and west. At the time, American medical practices had been static for nearly 100 years. Individuals fortunate enough to survive the ravages of numerous childhood diseases could expect to live to an average age of 55. Doctors knew little or nothing about germs and microbes. Surgical practices were limited, crude and unsanitary by today’s standards. In such an atmosphere, the Rebel camps were soon overrun by disease. Outbreaks of measles, mumps and typhoid spread like wildfire. hospitals. Although the Confederates were encamped on the doorstep of Washington, they were never strong enough to attack. As the prospect for a quick end to the fighting and the hope of European recognition of the Confederacy dimmed, Confederate forces evacuated the area in March 1862. The new technology of moving people and goods by railroad was changing how wars were fought. Confederate reinforcements had been transported to the Manassas battlefield by rail. The world’s first railroad line dedicated solely to military purposes was the 5.5 mile spur line constructed by the Confederates to supply their positions at Centreville. The Lincoln administration clearly understood the military value of railroads, it would turn their use into a decisive instrument of war. It was a time of large scale immigration into the United States. As the short war turned into a long one, the foreign born would make up about 20% of the total number of soldiers serving in Abraham Lincoln’s armies. Throughout the war, Lincoln never took a vacation. He worked about 14 hours a day, seven days a week, 52 weeks of the year. Lincoln only left Washington to visit military commanders or do things like dedicating the military cemetery in Gettysburg, Pennsylvania. Lincoln is rated by some historians as the greatest of U.S. presidents due to his Civil War leadership. In other rankings, he is usually among the top three, with George Washington and Franklin D. Roosevelt. As the house lights begin to come on at dusk along the once vital ridgeline, one can reflect on the area’s legacy while dining and imbibing at one of the restaurants situated on the land where McDowell’s army camped. Then as now, things are often more complicated than they first appear. Good implementation is as important as policy formulation. New technology almost always brings unforeseen changes with it. Events can quickly spiral out of control, taking on a life of their own. Congress might want to consider these old lessons as it mulls over such things as dealing with the aftereffects of the Great Recession.